VEX Rings-n-Things is played on a 4ft x 8ft field, surrounded by a 31/2 inch tall perimeter. There are four goals and eight rings into which teams can score thirty-six balls. The field is divided by the ramp. 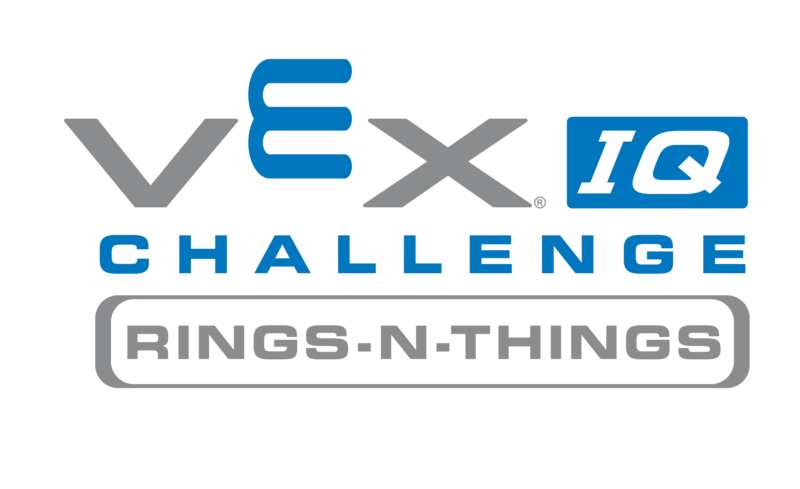 While participating in the VEX Pilot Program – Rings-n-Things, teams will develop many new skills in response to the challenges and obstacles that stand before them. Some problems will be solved by individuals, while others will be handled through interaction with their student teammates and adult members. Teams will work together to build a VEX robot to compete in the World Championship of VEX Robotics. Students come away not only with the accomplishments of building their own competition robot, but also with an appreciation of science and technology and how they might use it to positively impact the world around them. In addition, they cultivate life skills such as planning, brainstorming, collaboration, teamwork, and leadership as well as research and technical skills.